And literally on the phone with one of these firms, they go, okay, if that’s all the data you need to know, just be about $60,000 a month. And I was like, okay, that’s funny. We’re a startup. And they were like, no, it’s going to be $60,000 a month to start and then it’s going to go up from there. So I was like, okay, well I’m sleeping on a couch. I have negative money after college and that’s just not gonna work for us. And so imagine spending an entire year of your life building like an awesome car and then just watching it sit in your driveway because you can’t afford to put gas inside of it. The startup investment landscape is changing and world class companies are being built outside of Silicon Valley. We find them talk with them and discuss the upside of investing in them. Welcome to upside. Hello. Hello. Hello and welcome to the upside podcast, the first podcast finding upside outside of Silicon Valley. I’m Eric Hornung. I’m accompanied by my co host, Mr. Free Mule himself, Jay Clouse. Jay, how’s it going, man? Going, well, you saw it, you saw my bounty as harvest from last night. Kentucky Mule. The Madrid mule. I don’t know. That could be a thing. True. I think there’s also one that involves Tequila, but I forget the name of it. I forget that one too, that I think I’m thinking of the bloody Maria, which is a bloody mary, but with Tequila and I can’t remember the, oh Mexican mule. You’ll miss that one, that was easy. But when it comes to free meals, I’m on board. See, I learned on an earlier podcast you don’t like beer. That was a big revelation. So now I’ve just been spinning in my head. I know you like Pappy van winkle. I know you don’t like beer. I have nothing in the middle ground to judge you on. It’s not that I don’t like beers it’s that I just rarely drink it. Right. Did you drink any beer last night, Jay? I did. There was an alumni event for the entrepreneurship organization at Ohio state that was a part of, and it was at a brewery. So for me to support the club, I had to pay for the artificially inflated priced beer to give $2 the club for every beer that I drank it for. You look at you just drinking and philanthrophizing at the same time, and that’s not a word, but I said it anyway. And if anyone else would like to give to the Ohio state business builders club, you can venmo OhioState-BBC. I don’t go to the club. Wow. Look at that. A plug that we weren’t even expecting. We all support entrepreneurship. You do got to support entrepreneurship and that’s what we’re doing here on upside. We are supporting entrepreneurs and founders across the United States, across the world, really anywhere outside of Silicon Valley, people who are building incredible companies. And today, Jay, who are we going to talk with? Who’s an incredible company we’re talking to? Today we’re speaking to Rachel Carpenter, the co-founder and CEO of Intrinio. 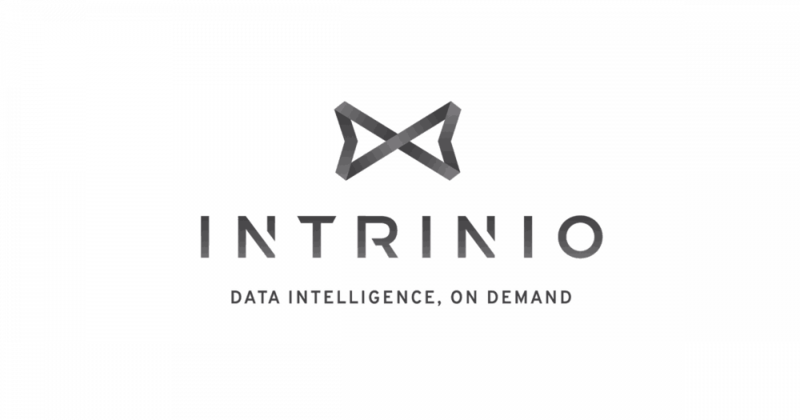 Intrinio is a financial data platform. It’s a marketplace for financial data, API’s and analytics applications built with those data feeds. Their goal is to democratize affordable, easy to access financial data for developers and investors based in St Petersburg, Florida, founded in 2012. So Eric, you’re a finance guy. I want to get your take on this opportunity. I understand the product. I’m looking forward to understanding who needs this product, who uses product. So financial data is just a massive space. Like I didn’t even do any market research analysis to figure out how big is this market because you might’ve heard of this guy named Michael Bloomberg. He has Bloomberg terminals. Heard of them? Yeah. You heard of him? Okay. He is a multi-multi billionaire. He was the kind of the first one to really do it really well. Aggregate a lot of financial data and then sell it. I’ve lived. The last count I heard was something like 35,000 Bloomberg terminals around the world and those things go for, I think it’s either 10,000 or $15,000 a pop every single year. It might be 25,000, it’s a lot of money. Explain to me what a Bloomberg terminal is. So Bloomberg terminal is your access point to the Bloomberg network of financial data. It has all kinds. It’s a customized computer effectively it has a really weird keyboard with a lot of colors on it that you have to learn and it’s just one of these examples of finance being like high barriers to entry by introducing something that is more difficult than it needs to be. And so this thing gives access to data that I’m guessing it gives people a leg up if they have that in trading? In trading and investing, we use it in my job for research. So when you’re writing a report on something, if you can use Bloomberg data, you can generally get something that’s a little bit more robust than what you can find on a google or a free service because they’re aggregating a lot of different data and they’re cleaning it and then they’re making it easily manipulable on their site. They have kind of a all encompassing solution. So when you look at Intrinio, does this strike you as a lower barrier to entry version of a Bloomberg terminal? Yeah. So I think one thing that’s happening in the finance and investing space is that people are looking at financial data and they’re saying why, I mean this is really expensive, but the publicly available stuff shouldn’t be expensive, so every company is required to submit a 10 Q attend K every quarter and year respectively, a couple other forums that they have to put in and then what some services will do is pull all of that data and clean it and make it manipulable. Now there’s a lot of other data that’s public that should be easily done in the same fashion. So Bloomberg does that. They also have news articles and things like that. But the general theme is, and you see this with like wide charts and stocktwits and Thomson Reuters isn’t as expensive as Bloomberg, but they also have a financial data portal. There’s this like cascading effect to make this kind of publicly available information really cheap. So it’s a little different. So this is like your baseline data. It’s making it really cheap and making the data sets really clean so that data scientists can do their magic machine learning. People can come in and like run their algorithms, which are essentially really complicated regressions on the data and the you need to. You’ve heard garbage in, garbage out, right? You need to have great data going in to have a great result coming out. And when I think about in Intrinio, I think about them in the same vein as being this kind of publicly available data set and bringing in a ton of different data points to make that dataset stronger. So if we take an example that might be a little bit more physical world, if we took the weather every 500 meters around Columbus and we took the aggregate of all of those readings from like a thermometer and averaged it, we’d have a better outcome than if we took one thermometer. Right? So I think that’s kind of the idea behind financial data is we want this to be like the best possible data because then we can make the best possible inferences. What’s interesting to me about in Intrinio is there they are really forward about the idea that they’re low cost. So that begs the question to me, what is the value add beyond cost? Because it’s very hard to compute on just cost. Cool. Alright. And from, you know, like a market size. I’m guessing from a competitor standpoint, we’re talking about things like the Bloomberg terminal. Is there anything else in that space? I’ll be honest, I left a lot of the research to you because this is your wheelhouse. Is there anything else in that space that we should consider a competitor here? Yeah, so there’s a couple other. I mean their main flagship product seems to be an API. I’ve used the Yahoo Finance API before, so you could say that Yahoo Finance is a competitor. I think Y charts has an API. You could say Y charts as a competitor. There are two names that I’m not familiar with called Covo and Plad. I don’t know if they’ll come up during the interview, but they seem to be startups that are in or near the space. Right. Well, I’m excited to talk to her first company from Florida and you’re ready to get into it. Let’s do it. Rachel, welcome to the show. Rachel like to start with the founder and kind of your story. So can you ttell us about the history of Rachel? Oh boy. Yeah, absolutely. So I’m actually originally from Wisconsin. I live in Florida now. I like to tell people that I retired early, but that’s very far from the truth. So I grew up in Wisconsin and I actually, I went to school at University of Wisconsin, Madison and although I am in fin tech now, I started out in college as a musical theater major, which most people find hard to believe. I’m very split brain down the middle between kind of creative and mathematical. It didn’t take me very long though to realize that I would ever make money in theater, so I actually took a finance 100 course and absolutely fell in love with it and totally switched my major from musical theater to finance, which is a wide swing, but also very indicative of my personality. And so I ended up majoring in business. I got double majors in finance and entrepreneurship. That was an athlete in college since I’m kind of a bit of an overachiever, so I was on the crew team, so I wrote and studied business and actually met my, my, my business story. It starts pretty early because I met my co founder of Intrinio while I was in school and he kind of inspired me to really think about entrepreneurship and we had an idea together. We actually started writing the business plan while we were in college, so I have one kind of funny story about why I decided to become an entrepreneur. I had a student assistant job while I was in school. Was it a big software company in Madison, Wisconsin? People always ask me, why did you decide to become an entrepreneur? And it literally comes down to this story. My job was in the, in the HR department and benefits, so literally my job was to take healthcare information, put it inside of an envelope, seal it, stamp it and send it to employees, which was pretty painful for me. I’m like, there’s not any way that I could really automate this any further. It was pretty awful. So I did it as fast as I could so that I could do my homework during, during work as well as making like $12 an hour. It was horrible. And we ran out of stamps one day and so my boss, the woman who ran HR was like basically I basically, I put two stamps that were like $2 stamps too expensive, right? Because we ran out and if we didn’t get the healthcare information at a time where like in huge violation it’s, we had to do it. So after the ambulance went out, my boss called me into her office and she had every single envelope laid out on the table and she pushed the two forward that had the bad stamp and she was like, do you see a problem here? And I was like, well yeah, there’s two different stamps on the is. Can you explain to me what happened? Well, we ran out of stamps and I thought it was kind of important to get the envelopes out at a time. And she said this in attention to detail is going to seriously jeopardize your ability to have a full time job here when you graduate and I’m looking at it across the table like just absolutely in disbelief and I was like, I do not think that I could ever work for somebody ever in my entire life. Like it was the most gross display of micromanagement and just like under utilization of a really smart person that is inside of your company that you just don’t care about. And I just literally at that point in time decided to switch. That’s what I added entrepreneurship as a second major and just realize I could never ever worked for somebody again. Take me back to musical theater. Why was that a decision when you came to college? What was it about musical theater growing up that you’re like, this is what I want to do. What’s your favorite role you’ve ever played? Oh man. Probably because it was closest to my personality and we did a chorus line in high school when I was val. She seems kind of in an inappropriate song, but it’s a great. She’s been a really sassy character and it was just a fun, fun production. Eric, did you do any musicals growing up? I didn’t, but my sister was really into them, so she did like multiple every year I have a soft spot for musicals and like, like I love them. So little side. But one thing that you also mentioned was you did crew in Madison, Wisconsin, and that seems cold. I don’t know. Yeah. Was that cold? It was very cold. They made us grow up until uh, the lakes froze, so, and you can’t really wear gloves well because your hands have to feather the blades. So in the big 10 they kind of made fun of us and they called us the Wisconsin farm girls because when you’re not able to be in a boat all winter long, you can’t work on your technique, so what can you do? Just get really strong so that you just plowed through the boats but your boats like tipping all over the place because your technique, you don’t work on it over the winter, which to a degree was somewhat sphere. We were very strong team but we ended up having to take a lot of trips. So we took a spring break trip to Texas and a holiday trip to Florida, which was kind of fun. In College we’ll have travel with your team, but that got us out on the water more often when the lakes were all frozen. But yeah, not, not fun. Very cold. So you fell in love with finance. Do this finance 100 class. You get into the business college and you start majoring in finance. Did that call it a love affair or interests? I assume persisted through those different courses, but I’d like to hear more about your journey through the rest of college in the finance major. I remember the professor and the day and where I was sitting when, and this is quite possibly the nerdiest thing, but I remember the moment when I learned what the time value of money formula was and it’s a very simple formula. It’s literally just how interest works and I saw it and I was like, Huh, that makes complete sense and it was just like crystal clear to me and I was like, this is how you take money and you make more money off of it. And it’s very straightforward and I like liked the math behind it and I like that day I switched my major and that in that I was basically like a business general major and I hadn’t picked specifically. And it was after that day that professor learning that formula that I specifically switched my major over. I’d always been really good at math and this is like the challenge right now. I’ve gone down the side of my brain path where I’m doing finance and technology. I miss the theater and it was like kind of hard to do both, but I was basically making a decision to dive into the to the other side of my brain with the hope that I can, I don’t know, join an acapella group one day or something and keep that other, that other side of my life alive. But yeah, I found that with that I took international business courses, actually studied abroad in Barcelona for a semester. I’m at an international trade school, which was awesome. Not Very financed, focused, but more like management and international business. Yeah, it just made a lot of sense to me. And to succeed in theater, you kind of have to be in the top one percent. Not that I didn’t think I could get there, but a much more challenging. Actually. That’s ironic , I’m thinking through it. It would have been challenging to succeed in the theater world, but starting a business is also very, very challenging. So you didn’t pick any easy routes, that’s for sure. So it talks to me about post college. What happens after you graduate? Help us get to the point where you are now with a Intrinio. Oh boy, this is where the real journey begins. So I met my co-founder over a pitcher of beer on the terrorists in Madison, Wisconsin. And he showed me basically the prototype for what Intrinio is. I didn’t know, I wasn’t very technically inclined at the time and he was extremely technically inclined. So it was basically a massive excel model that was using algorithms to pull data from 10,000 websites. And I looked at it and I was like, Oh God. I was like, just send me a copy of this so I can like have another pitcher of beer and digest it later. But I kinda had this feeling at the moment that he was really on to something. But he had been basically using this for personal investing and over the next couple of weeks I had just spent more time with them talking through how we could actually commercialize it and why it was a bigger idea than just for personal use shortly. He was a year ahead of me and we kind of had decided to become business partners. We knew that any good business has to have somebody that’s good at back of the house and good at front of the House and we knew we’d make a really good combination for that. And we were really good friends. So we basically decided to start the business together. So at that horrible student assistant job I had, I have in the background, I was actually working on the business plan for this company while sealing envelopes beside, pretty painful. So I graduated and Joey is my business partner. So he had moved down to Chicago and he was. He had on his CPA, but to officially finished your CPA, you have to spend a year at an accounting firm. So I equate his year at the accounting firm to my stamp. And envelope ceiling year, it’s like the painful thing you just have to get through to move forward with your life. So he was slaving away at that accounting firm down in Chicago. So when I graduated I was taking job interviews. But like when you’re an entry level finance major, pretty much all of the, most of those jobs are like financial rotational programs in a cubicle somewhere. And I was like feeling like I was going to head right back into the stamps situation. So I had a bunch of job offers. Pretty much like every interview that I took. And I remember being on the phone with my mom and I was like, listen, I have two choices. I can take one of these jobs. It’s like a pretty good salary from a good university and great major or I can move to Chicago, sleep on Joey’s couch and take the opportunity that’s paying me no money right now. And I know not a lot of entrepreneurs have this and I’m very blessed. My mom was like, which one makes you more excited? And I said go into sleeping on Joey’s couch. And she was like, well, do that. Turned down two jobs and she didn’t even hesitate, didn’t even really think about it and just recommended that I do that. So very, very grateful to have a family that supported me through that. Yeah. But I turned down all the job offers, packed everything I owned into my car and drove down to Chicago. Joey had a lazy boy couch, which was great. It could have been worse, right? Could it have been a one of those old college couches that your roommates threw up on for two years? So at least we had that going for us. For that year that I was in Chicago. Joey and I were basically living off of his salary together. So like he would buy groceries and I would sleep on the couch. And what was, what was going on that year was that we recognized we needed to learn how to program in order to build this thing into a reality. So what he had built was in excel, you can’t sell a product via Microsoft Excel really. So we knew we had to take the entire thing and build it into the web, but it was a very complicated financial product. So to find a programmer that could basically build that logic, that financial logic into code would have been a nightmare and taken a long time and also how could we afford to pay that person? So we knew that if we learn how to program, we could just directly program our financial knowledge into the, into the APP, which looking back, I don’t even know how I got beyond that, but I basically spent that entire year of teaching myself how to program. So no technical expertise, didn’t even really know how excel worked that well. Nobody even like in finance taught us any of that, which actually is part of the problem we’re solving today. And so I would just wake up every morning and you go, how do you program? And over the course of the year, ended up building our initial website. Joey was working full time coming home and then coding with me all night. So he slept like four hours a night that entire year. Um, and he learned the even harder stuff. He learned all the back end database technologies, so between the two of us over the course of that year, we learned how to program when we got this app up and running. What it was was a valuation engine where you could type in a ticker of any stock and click a button and it would instantly tell you if it was overvalued or undervalued if you should buy yourself and with a degree of confidence of how over undervalued the stock was. Then the idea for that was an equity analysis but also valuation. So there was plans to build it so you can value any type of business, you can value the coffee shop down the street and you can value your startup if you’re an investor, you can value your portfolio startup. So the idea for that was to build a valuation engine and like any normal kids dream in college, that was just kind of like the base version of it, just public equities and a basic discounted cashflow analysis. So we built that. It actually exists today, but that entire year of our lives that we were like slaving away and not making any money, we didn’t really pay attention to all of the data that was required to go into it. So thinking back to the spreadsheet that Joey built 10,000 websites is what he was scraping to pull data into this thing. So we were again scraping 10,000 websites to pull data into our web application and that’s extremely illegal. So basically what we’re doing is we’re violating the terms of service of every single website that we’re scraping data from. And so that was kind of okay. I mean kind of okay at the time because we weren’t in production, but to sell a product like that, it’s not gonna work. So we didn’t know anything about data. So now we’re having phone calls with Bloomberg, Capital IQ and all these huge, massive data vendors that have been around for decades and literally on the phone with one of these firms, they go, okay, if that’s all the data you need to know, just be about $60,000 a month. And I was like, okay, that’s funny, we’re a start up, and they were like, no, it’s going to be $60,000 a month to start and then it’s going to go up from there. So I was like, okay, well I’m sleeping on a couch, I have negative money after college and that’s just not going to work for us. And so imagine spending an entire year of your life building like an awesome car and then just watching it sit in your driveway because you can’t afford to put gas inside of it. That’s like the best way that I can describe how that felt just completely defeated. And so we almost kind of had a mini business that helped us recognize there was a bigger problem and then that launched us on a whole new path to, to fix the data problem in our industry. I want to keep going forward on this, but I want to back up just a little bit and ask you when you guys are teaching yourselves how to program, what were the languages that you guys were teaching yourselves in that year? Eric is the numbers guy. I’m not a numbers guy, finance isn’t my forte, but I think I’m reading between the lines and understanding the first version of the product. The problem you were trying to solve, you basically maybe it wasn’t a problem so much as an opportunity. You knew that there were stocks that were overvalued in somewhere that, that were undervalued and you were trying to probably make money from this product just by understanding which were undervalued. Yes, so joey was originally just personally investing based off of that. He was a huge value, so a big fan of like Benjamin Graham and Warren Buffett. So he had basically built his own valuation model for analyzing stocks into excel. But like you guys should see this thing. It’s like, it’s like an application inside of excel, it’s crazy. At the same time he was also working at a big accounting firm doing valuation services. So outside of equity valuation he would like when someone passed away, he would get all the papers on his desk and have to value their state or you know, valuing a private company that wants to sell is going through a merger it has to come to an accounting firm. So he saw from the back end, how does accounting firms were just charging tens of thousands. All they were doing is they have a spreadsheet and they’re like multiplying your revenues to tell you what you’re worth. So from the equity analysis side, he personally saw it and then from more of the business evaluation services side, he sought how ripe for disruption it was because he was the guy in the background automating the model on the spreadsheet and he’s like, I’m billing my billable hours for this to this poor company that we’re valuing and I’m all I’m doing is running a bottle that he’s automated in his own spreadsheet and he. So he was like, why don’t we take all of these things, put them together and build them into an app that can be an all encompassing valuation services, SAAS Model online. There are companies that have done this now. This was like five or six years ago that we would have probably been the first to do it if we could have afforded the data, but we couldn’t. So that’s how we ended up there. So how do you guys work together? Joey probably like 10 times when you live that. I mean literally. So there was a point in time early on in the company when we were getting things off the ground and we were running out of money and we just couldn’t build fast enough and finding angel investors in Florida is a whole another challenge we can dive into later. But we were literally living in a studio apartment with two beds like smushed into like 400 square feet, like horrible. So imagine you’re like programming for 18 hours in an office with somebody and then you’re coming back to a box and like we’re just friends. So like spending that much time with someone, not that easy right. And so there was literally a year in Chicago where I slept on his couch another year we moved down to Florida where we flipped and he slept on the couch and I got the bedroom and then another six months after that, then we’re in a studio with two beds when it got really bad before we actually like raised money. So you’re looking at like almost two and a half years of being with somebody. So I admire Joey so much. He’s been one of my best friends since I met him in college and he is probably the smartest person I’ve ever known. So I think there’s just a lot of respect. He knows how good I am at my side of the business and what I do and he admires that and the same vice versa. So I think there’s a lot of mutual respect. There were obviously kinks, like defining roles and responsibilities, who’s in charge of what? Figuring out who’s going to be the CEO, which he, he wanted me to be. There are obviously challenges as we rolled through a lot of that, but just a lot of mutual respect. And I think also just believing in what we were doing, so for the sake of the company, like we have to keep it together, right? We have to learn how to, how to work together and get through all of the challenges. What were some of those challenges? I mean just the living situation was tough when you’re, when you’re that short on money and trying to get things. I mean I just walked through the apartment’s scenario which was a nightmare. And then, you know, there’s obviously disagreements on direction and things like that. So when you’re early on and figuring out what your mission is and what you’re going to go after, I think a lot of it was largely due to outside factors. There was never anything that Joe, we, we always make decisions together and we always have. So it was a lot of outside factors, you know, hiring the wrong employees and then arguing about it and you know, different things like that. Obviously fundraising causing stress, the degree of stress and anxiety early on. You end up taking things out on each other a lot when you really shouldn’t. And so I think there’s definitely been times when we’ve already, we would always argue, stop, apologize and say we’re both taking it out on each other right now, aren’t we? I mean it literally. We always joke that we’re like in a business marriage because unlike the operating agreement is our, is there a marriage certificate because it is really what it is when you deciding to have a co-founder in a business that requires years of upfront technological investment before you actually really take off, you’re committing to literally being in a marriage with this person for years. Thankfully we respect the heck out of each other and he’s absolutely brilliant. So mostly I think just due to outside factors, living situations and just the stress and anxiety and there literally were times when like Joey and packed his bags and I’d be like, alright, let’s just think through this. We almost literally shut the business down like two or three times early on because of arguments and things like that. But 100% due to just the anxiety and the stress and we always got through it. Do you have any role models or does he have any role models that were entrepreneurs close to you guys? Like how are you guys navigating this as first time entrepreneurs? Man, I think now we do, but we had no idea what we were doing in the beginning. Like absolutely not a clue. Like we made so many mistakes we, I mean I probably could have a whole another hour conversation about just all the things that we did wrong and I think that’s kind of necessary a little bit in the beginning to kind of stumble through that stuff, but I didn’t know what it meant to start a business, but frankly getting a degree in entrepreneurship doesn’t mean anything. I did it, but there’s probably not a single thing that I learned in my entrepreneurship degree that prepared me for what the real challenges were of starting a business. So you kind of just got to go through that stuff. And even if I had a mentor early on, I mean I had mentors, like my mom is my biggest mentor by by and large, but not really entrepreneurial mentors. So I think as we matured as a business, we started to have some of those mentors because getting deeper into the industry and the community and growing, we started to meet the right people, but early on it was just failing over and over again without very much guidance. Talk to me about this move. So you’re in Chicago, which is has a decent amount of venture funding. It’s kind of a hub for finance and then you make a decision to move to Florida. Can you walk me through like what was behind that? So Joey was working at Mcgladrey, the big accounting firm in Chicago and basically the day after his 365 days to get his CPA, he quit. It was also the day that his boss looked at and said, I pay more in the data subscriptions. You need to do your job then I pay you in a salary. He was like, okay, I’m going to go fix that, I quit. So he was free from his job, you know, ready to dive in and full time. We went to dinner with his parents and they made it very like a small angel investment that basically we could survive on without his salary in the equation anymore. And so we kind of sat there and we were like, well, if we’re going to dive in, we knew we had to fix the data problem. We were done with the evaluation piece. We had to solve data first, which was a big task. Um, so we knew we needed one two three years, a lot of time to fix that, that we weren’t gonna be generating revenue as a company. There was a ton of technology and infrastructure and research that had to go into, into play. So supporting that degree of time in Chicago is very expensive. So I think it was a combination of we need to go somewhere more affordable for this chunk of time that we need to build. We don’t want to go back to Wisconsin because Wisconsin and it’s not a great place to build the tech company yet. And we’re sick of the weather. So a lot of factors collided at the same time. My family had actually moved down to Florida. My mom is an author and also had a wine bar down there, and so I knew that I needed to kind of have a part time job while I was programming and so I knew I could have a job. My mom’s wine bar, my family was down there. It was just the two of us and his family wanted to retire down to Florida. Anyway, so families were moving down there. I would have a job. Cost of living was much lower looking forward. Tax Incentives are pretty good down in Florida and you know, a chance to get out of the snow that we had spent 20 plus years of our lives in. So all those things collided. We also knew in the back of our minds a Raymond James was headquartered down there and they became one of our first institutional clients and it took three years to get there, but they were 15 minutes away in our backyard and we finally did it and they’re like one of the only big Wall Street banks that isn’t located and headquartered on the east coast. So kind of a different finance attitude that we resonated with, so all those factors kind of came together and we came down with the intention of just building down here and fell in love with the area, found it pretty easy to attract talent, lots of talent from the local universities down here. And also I think we’ve always been very frugal company and very bootstrapped and so thinking like just the operating expenses of building a business in New York versus the rise of the rest areas. It’s pretty significant. And I’m actually starting to see that from the venture capitalist firms were actually happy that were down there. You know, I talked to a CEO of a Fintech company that’s about to move 100 employees from New York down here because they can’t support it anymore. And so I think early on we got a lot of questions about what are you doing? You’re, you should be in New York. And now people are like, okay, I get it. This makes way more sense and we just love it down here. So what is the problem that Intrinio is solving today? We talked about the evaluation piece and you guys moved to data and you’re trying to solve data, so how would you define Intrinio today? What’s interesting, and I think really important for founders is to really have lived through the problem yourself. Like painfully. I talk about that entire year that I spent building and then not being able to afford data. So right after that happened, after we got that super expensive quote, we started thinking through all of our experiences with data. So obviously from a programmer, fintech developer perspective, huge problem, right? If nobody can afford the raw materials, how is anybody innovating in the financial and banking industry? If it’s unsexy and it’s behind the scenes, but if those raw materials aren’t available, you can’t build and you can’t innovate it. They’re restricted to the big firms. The big firms aren’t good at innovating, so we knew that was a problem in that vertical. Then I started thinking back to like as I started a program, it became painfully aware to me how bad my technical skills were and like nobody. I have a finance degree and from the University of Wisconsin Madison and nobody taught me how to crunch numbers. I didn’t know how to use formulas in excel. There was no live data for me to play around with. There was one Bloomberg terminal in the library for I don’t know how many hundreds of business students and nobody taught me how to use it, so we’re pumping out finance and accounting talent that doesn’t have any real world hands on experience with anything technical or digesting real live data. So academics, huge problem. And outside of that even like computer science and data visualization, they don’t have access to data feeds either. So we knew from a fintech developer perspective, from an academic perspective, both Joey and I are obviously, you know, buying stocks and doing our own investing. We’re not going to pay for a big expensive subscription to data. So retail investors have a problem and also institutional investors. So Joey’s time at the accounting firm with his boss telling him this is getting bad. We’re paying so much in data more than your salary. So we looked at developers and tech entrepreneurs, students, professors, research, retail investors, institutional investors like the degree of pain across all of those is just massive and people have just dealt with it forever because there’s pretty much five companies that owned 75 percent of the market. There hasn’t historically been very many places to go to find this data. So the biggest two problems being that it’s super expensive and then on top of that, the firms that are selling it are built on these massive, outdated tech stacks. They’re not delivering the data in a modern, efficient way. So it’s not easy to use. It’s not easy to get and it’s super expensive, so totally restrictive as well. So that’s, that’s the problem. And when, when you think about that, you’re kind of hindering innovation and also it’s just not fair for there to be a couple places to go to get that data. As an outsider, help me understand why those five companies have such a stranglehold on this data. What do they do that gives them the right to own and sell it at this level? So the best way to think about this is like where does the data live? Like say you were just going to start a data company right now and go try to do it. Where would the data live? Unfortunately, a lot of it’s on paper, which is a huge part of the um, the work that we do kind of on the side to promote digitization of all of this information. So like you look at a Apple’s financial statement. If you want to invest in apple, you want to know how many, how much revenue apple made last year, and you want to go find Apple’s. Financial statement. Historically it’s literally been on a pdf file that a piece of paper. And so these firms started 30 plus years ago with teams. A lot of them actually used teams of college student interns to go manually type all of that data into a database. It’s just super human capital intensive. They, they did it, they have systems put in to do it and they’re using that. You have to have a ton of money or a ton of resources to go manually source all that data. And that’s financial statements is just one kind of data. There’s literally thousands of kinds, so they’ve spent all this time manually pulling in the data. There’s a whole other side to it too with like pricing data is regulated by the exchanges and the exchanges, charge a ton of money in licensing fees for that and the exchanges have good relationships with these vendors. So there’s this, this, these decades of history where they’ve built up all these processes to do it manually and also on top of that there’s a degree of like brand safety with it too. So if you’re managing a portfolio of billions of dollars, you’re used to these guys, right? Even if their data quality might not be as good and we’re starting to prove that you’re making decisions with other people’s money. So there’s this stickiness of their brand where you’ve got your Bloomberg terminal in the corner or you’ve got your facts at licensing, you’ve always used it, you know how to use it, and you’re using it everyday in and out. So there’s a brand new brand and stickiness. Bloomberg in particular, how does a stronghold, because traders use it to communicate with each other, so even if you’re not using the data, you have a terminal because the little green light pops on and you know your buddies on and you can and you can talk to him so they have like kind of network effects through that. Those are just some of the reasons, but they have a pretty large degree of infrastructure in place. So these companies are manually aggregating a ton of disparate data sources from individual companies and the data sources themselves from individual companies. Is that publicly available? Just disparate and on pdfs as opposed to a more manipulatable manipulative, able to be manipulated? I think manipulable is the word I’m not sure. Yeah, so some of it they have proprietary ways to store some of it. They’re curating your own that they own, but a lot of it and the core like core set of data is filed on pdf’s in in certain places. Obviously streaming pricing data from the exchange is a whole another group, but there’s like an unlimited amount of data that you can source, but large by and large, it’s just the, the history of relationships and the fact that they’ve sourced a lot of it manually. Those are the big, the big reasons. So what’s the difference between these legacy players and in Intrinio. Primarily we use machine learning and algorithms to source a lot of this data. So we’re writing off of the waves of a new technology that came out called XBRL, it’s a programming language. Simply put, instead of filing your data at a pdf, you’re coding every single line of it. Kind of tough, right? Because there’s a CPA who’s job it is to file Apple’s financial statements, so now you’re looking at a CPA who used to just type it onto a piece of paper and you’re saying you have to program this now, but by doing that there’s a database of tagged information that we can build an algorithm to go out and pull each if you want to. If you want to get Apple’s total revenues from q three of 2014, you can search for that tag and pull that piece of data down digitally. It’s structuring the data. Is that like a federal regulation that they’re required to do that? Yeah, so in 2009, Congress mandated XBRL use for all publicly traded companies, so now there’s a repository of tagged data at the SEC. The FTC does it for banks. Europe just mandated it for 2020. Asia has been doing it for 15 years because they’re always ahead of us, so we’re moving off of paper, we’re moving in this direction. It doesn’t make sense to file things on paper. It has to be machine readable so that we can digest it like how do you even think about like from the government perspective, the government doesn’t even know what they’re spending if it’s all on paper, right? You don’t have any type of analytics until you get all of that information off of the paper and into a repository where you can actually run analytics on it. China has done this for public companies, private companies in every single federal institution in the entire country. So Think about what happens when a government has a massive repository of tag data. You started building AI on that. If China started building AI to run their government right? We’re so far behind in the United States it’s like terrifying, but on top of that it also makes the data inaccessible and monopolizes the industry, so because the data is available now, we were able to use algorithms and machine learning to build this proprietary engine to pull it all in. The biggest piece there is that it needs to be standardized and plugging things into the right bucket and categorizing them in a certain way. We use machine learning for that versus the big firms that do it manually, so we were able to source a course set of data with two people and Algorithms. The hard work came and building everything around that because not everything is filed that way. We had to build our own relationships with the exchanges and find ways to pull in data feeds from different places as well. So basically we looked at what are all the problems with the big vendors. They’re expensive, they have salespeople long contracts, their TAC is outdated, nothing self sign up. You have to pay for a bundle of everything whether or not you’re using it, and we just did the opposite of every single one of those things. We built an open marketplace for the data so that we can sell our data feeds and bring in partners to sell their data feeds to fill in the gaps. And by doing that you’re naturally making it more affordable because it’s all a cart. You’re only paying for the types of data that you need. It’s like shopping on Amazon, instant chat support, no salespeople month to month contracts. So you’re just opening up the entire ecosystem so that whatever you use cases, if you’re a student that needs to learn how to build a DCF. If you’re a programmer that has the idea for a mobile APP or if you’re a professional investor that’s pulling this data into a spreadsheet to manage your portfolio, you have a one stop shop where you can go instantly pick just the data you need, bundle it together, paying monthly, and get support instantly without having to go through a long process or talk to a salesperson. You mentioned machine learning a few times in there. I’m curious on what your definition of machine learning is and it’s kind of a buzzwordy thing, so I want to dig down a little bit into how you’re attacking this problem with machine learning. So if I was hypey, I would call it AI, but I think far too many people are using the way the word AI to to listly and I think if we had real AI, we’d be much scarier than we are right now. I don’t think anybody has actually done that yet. Just depends how you define it, I suppose, but we have a much. I think we have an increasingly loose definition of AI and ML, so now everybody is doing it. It’s only AI until it works, then it’s expected. Right? I’m sure there’s a way that you guys are using AI in your podcast, right? You guys could do AI now, so everyone’s everyone’s using that. So the way that you can think about it for us is that it started very algorithmic, right? We were using if then statements, so to break it down, Apple files total revenue, but they. The Tag, the digital tag they use is capital T for total capital R for revenue camel case, one word, Oracle doesn’t want to file that way. So they have a line for cloud computing revenues, hardware revenues, software revenues, consulting revenues and their total wine is just revenues with an s and no capital. So if you’re trying to build a program to go figure out what, how can I compare Oracle’s revenue to Apple’s revenue? Absolutely not. So to do that, Joey, my cofounder, started building algorithms that said if it has this in there, it probably belongs here. Try it. Revenues minus six minus expenses equals that income. Does it work? Does it not work? Go back, try again. It’s a very systematic way to have an algorithm just using the basic, if then statements, figure out where does this line item belonged, what bucket should it go in, how should we standardize this data? Obviously after six to nine months to build that, you have to train a lot of data and then we realized you could probably start using machine learning on top of that and so we use Amazon’s machine learning tools because basically what happens is companies can change the way that they file over time and standards can change and companies use different tags, so you have. You have to have some public system that continues to change over time because the algorithm is static and it’s not going to pick up on changes and so we started to realize if we use machine learning, this thing could grow and get better over time on its own. As companies changed the way that they filed their information, so Joey started building that. I don’t know exactly how he did it. I’m not the machine learning expert, that’s his thing. I know he’s using Amazon, um, and I know basically that’s what it does and so probably into the company changes the way they file or our machine and our system can pick up on it. So the end game with that is that because we’re using technology like that instead of 10,000 people overseas, it’s faster way higher quality and we’re able to put a much lower price tag on it. And how big is your team now? So we have 13 right now, but for programmers and some front of the house people, some content marketers and yeah, hoping to double in size over the next six to nine months. When you double what positions do you need to hire for? So for us the two we can never have enough programmers. So we’ve gotten to the point where we have over 300 different types of data on our marketplace, which is really interesting because. So we added, for example, another buzzword that I hate and I honestly didn’t want to do this, but we had demand for it. So we added cryptocurrency prices. So now there’s two crypto platforms online that are powered by Intrinio, so we’re behind the scenes powering all of the crypto pricing data into their platforms. Same thing for ETF data. We had an an ETF data feed and then some guy built a mobile app to help investors analyze ETF’s and that ETF mobile app is powered by Intrinio. So for us, our business model is, you know, how many different types of data can we add so that we’re the engine fueling all of the innovation in this industry. So to do that we just need more programmers, right? There’s, we have a backlog of data feeds and all these data vendors that want to sell their data through our ecosystem and we just can’t onboard them fast enough. So the biggest piece for us is getting more developers on board to onboard data feeds. You want to go from 300 to 500 next year. So we need programmers, we always need more programmers. I feel like that’s what every tech company says, but for us we’re not just integrating other people’s data feeds. We’re also building our own data feeds. So getting the right data, scientists in place that can work on the machine learning engine, you know, go to Japan and source Japanese data, go to Singapore and source their data. So expanding across asset classes and internationally to build our own data sets as well. That’s more of a data science job than it is a programming job to explore in R and D and build new data products. So that’s what we need on the back of the house, on the front of the house. We’ve innovated to the point where we’re making all of this data so accessible and so affordable that we don’t even do any sales. So we just do. We’re really good at digital marketing and we drive huge company is dark chatting as the website without doing any, any outbound sales to them. Which is interesting because it means that companies of that size are feeling the pain enough to be out searching on the Internet, looking for a solution like this and that our cost of acquiring them is super low because of that. So we need marketers, you know, we just need people that can help us spread the word work on SEO, build content. If you think about it from a content marketing perspective, we have over 300 products, right? So the SEO opportunities on that and the opportunity to promote individual feeds is pretty big. So marketers, programmers and data scientists. What was the decision like to kind of build broadly. So you have 300 types of data products. Why go that broad route as opposed to having five that you guys just crush it on and get all of the available potential customers on? That’s a great question. We wanted to be the hub and then the marketplace where people come to buy this data to make it even a valuable product or an just an equity analyst. We got the fundamentals from the SEC using our machine learning. You have to couple that with pricing or it’s not valuable. So if you think about any data set, there’s fundamentals and there’s pricing for whatever asset that you’re thinking of. So no matter what to even get one somewhat valuable chunk of solutions that solves a problem for one person, we had to work with the exchanges or some type of data vendor that had pricing. So right from the get go we had to bring in an outside firm and the mission largely of the company was not to solve a specific problem for one type of data user. It was to broadly be the supply chain management and the data vendor hub to power innovation across all types of finance. So whether you’re building a crypto APP or ETF APP or an algorithm or some type of risk software. Basically our first mission was to help other programmers that we’re trying to build that. So our actually our main client is a programmer, not really an analyst, which is interesting because an increasing number of analysts are programmers and that’s what’s happening on Wall Street right now. And we took that approach of saying we’re going to be API focused. And thinking back to our original problem, you know, there’s other people like us out there that want to build an app for the financial industry. We want to be the engine that can power those, so to do that then you have to have a very broad selection of data. So that’s, that’s where the, that’s where the idea came from. So we’ve kind of talked about it a bit, but I just want to address it directly. How does in Intrinio make money? How do you price that one time download? So a lot of it is from our third parties and so we have to figure out pricing with them. But for our data we basically tried to make it as affordable as possible while still making money because a lot of that stuff we’re sourcing on our own. And so it’s been like a three to four year journey of saying from a business perspective, right? We can make this as cheap as we want because our, we’ve built this whole business up super, super cost efficient and very, very capital efficient. So the problem is you can price it too low sometimes, right? And that’s kind of like the entrepreneurial journey that we went on of saying if you look realistically at like our price difference from the big guys, it’s like huge. So finding a way to still make money but also stay true to our mission of making this actually accessible to everyone with over 300 products it’s kind of an ongoing evolution. Yeah, I was, I was going to dig into that a little bit with, with these five companies that own 75 percent of the marketplace charging these huge amounts. You know, it’d be interesting to hear this $60,000 data dump you tried to get from Bloomberg what that would compare to on Intrinio. Two, why or how do you determine how big that gap should be from what you guys are essentially leaving on the table. That’s something I think we’re honestly still trying to figure out largely with our business model. That’s kind of like a market grab, so we want, we just want there to be no barrier to signing up, it’s that affordable. As we’re starting to evolve as a company, we’re getting a lot more institutional interest and so we’re starting to revisit that because as we’re selling to big institutions were like, hang on, you guys have a lot of money and the difference in the subscriptions that you’re paying is pretty huge. So for the small guys they just wouldn’t have been able to afford it any way and we’re making it possible for them. For the bigger institutions, they were already affording it and so we want to save that money but like not leaving anything on the table. So moving upstream is interesting because I think data is becoming more commoditized and people are realizing that and they’re paying too much and so the amount of institutional interest from huge hedge funds, banks, asset managers are starting to message us over the past six months. We’ve seen that, which is interesting trend wise for the industry in the direction that they’re. We’re starting now to kind of build that more of an enterprise strategy and thinkers. We have all these inbound leads coming to us, figuring out how to price it. I don’t know yet. I know that we’re probably massively underpricing it, so it’s definitely an exercise to figure out . How long have you been in market generating revenue? We took a very bootstrapped approach to figuring this out, so the marketplace as it exists today is about two years, but that day one we had like six products on it. Now we have 300, so it’s very much an evolution, but like if I take you back to when we were building that algorithm just for financial statement data, 1 out of 300 types, that’s all we had. We didn’t think through the business model much and we just, as you mentioned, narrow, try to just sell that feed on line and so I think we put it up for sale for like $25 a month and we probably had like 20 or 30 people sign up and pay for it. We were making a couple hundred dollars a month. It was like our first revenues and really exciting and we started to realize at that time that wasn’t enough for kind of like enthusiasts or individual investors to get that data and paid, you know, 10, 20 bucks a month was great, but to really build a valuable business, we had to add different types of data. So that was like two and a half, three years ago I think that we had that for sale. Then we found our first partner and just kind of bundled it together and we’re still selling it as one product before we recognize let’s revamp the website, build a marketplace, and that’s when we started to get a demand from other vendors that wanted to sell in that ecosystem and so it took about a year to get that market place up and running, but in a way was kind of us just testing the market and getting our first data feed out there and realizing the right way to build a model. What are the KPI’s that you guys pay attention to it in Intrinio? It sounds like from our conversation thus far, number of data types on the platform. Seems to be one. Sounds like you have a backlog of potential data types that might be one. What are what are some of the other key performance indicators that you think about? Yeah, a number of data feeds obviously revenue, right? That’s good. That’s important. But you know, we’re a SAAS business model so we pay a lot of attention. There’s kind of two ways and the this is the product side and KPI’s are just like how many products do you have any resources around it, and then there’s actual revenues out of the business. So on the product side, absolutely number of data types. Every new type of data we add opens up a new customer segments for us. And then if you think about the revenue model, it just kind of. It’s exponential in a way because if you, if you think about it, just geometrically like you’re adding new data feeds, but also selling old data feeds in an increasing rate on both sides and you’re cross selling feeds and like a big firm that might’ve signed up. I’d be really happy when you edit ETF data, I want to add it to their bundle and so that kind of organically grows on its own just by the nature of the marketplace. So adding data feeds is our best marketing strategy. I mean that’s what we do. We are programmers, we are marketers because just by simply adding a data feed, think about like think about the financial statement product. We’re ranking for every single line item of income statement, balance sheet and statement of cash flows. If you Google Apple in any of those tags and training is going to show up, so one out of 300 products is ranking for the thousands of keywords. So that is our best marketing strategies is how much data can we add because you’ve filled you solving niche problems while also solving a much broader problem for people that needed more data. So number of data products is huge. For awhile it was resources because as the programmer is our most important user, they need software development kits and formula builders and tools like that and so we probably hit critical mass for that over the past six months over the summer. We really invested in, so there’s an SDK for Python and for Ruby and for . So any type of program that you are, you can come pick your data, pick your tool and then instantly get it. So from a platform and resources perspective we kind of hit that critical mass and solve those problems this year. So it’s just adding more data feeds and then on the revenue side we we solve a problem for so many types of people which is part of the challenge and we’ve kind of chosen not to focus on retail investors. Some of them sign that that were more focused on the program or in the institution and even better the program or inside of the institution is is our best, our best customer. And so for, from a KPI perspective, we’re tracking from the small end of the spectrum. It’s a volume game here. How many, how, what percentage of our users are retail or smaller guys on the other side of the perspective is you know, what kind of institutions are signing up. So an interesting KPI for us is that over the past year we’ve really seen the size of the subscription increased drastically and the size of the firm that’s signing up increased drastically. So that’s an important indicator for us is that people are buying more expensive subscriptions and larger and larger firms are signing up. Can you put some numbers behind that so we can kind of get a sense of the magnitude. So we have about 550 paying customers. We’ve got like tens of thousands that are using free trials and playing around with 550 paying customers. And what’s interesting about the model is that one of the fees in our marketplace is $5 a month and one is $5,000. So if you want to get like, I don’t know if you guys are familiar with the IEX stock exchange, flash boys story, we wraps and an API and some tools and resources and support around the IEX product because it’s pretty much free and then so we charged $5 a month so that developers that are integrating at concertos and ask questions just to stream like it’s not great data honestly because the exchange is still a pretty. They only had like two or three percent of the market trading. So for $5 you can get a product like that, you want to stream like real time for x prices from some international exchange that’s like $5,000 a month. But we’re kind of a classic tower log. So the average subscription is like close to $200 a month. But the customers that we really care about, there’s this long tail of smaller guys that are experimenting and that’s important, right? We solve a need for the guys that are playing around or you know, exploring an app they want to build. But the real growth opportunity where we’re seeing all of our growth is on the side of the market, that is the bigger institutions and on average the institutions are paying as anywhere from 500 to $6,000 a month. What are your biggest costs? You have headcount, you have 13 people. What are the costs of the data? Like what are the margins look like on that? Can you give me a little inside there? Are you guys cash flow positive right now? No, I don’t want to be for the next couple of years because we have a ton a ton of growth. Does that mean you’re going to be raising in the near future? I am currently right now. Yeah. So we’re, we’re raising a series a round. We raised about two point 5 million in capital so far. We’re at a pretty stable point now where the marketplace is growing. We’re making some pretty significant revenues. Our team is awesome. So for us it’s time to put the gas pedal on. We have basically one of the biggest impetuses Italian raising more money is that we have this backlog of data feeds to integrate that is just massive. So like we can’t onboard data feeds fast enough, so to be able to bring on programmers and double the size of the types of data that we’re selling would be huge for us. So I think two-fold growth on the data feed side, but also the opportunity that we have in the institutional space to start selling an increasing number of feeds there. We want to really put the gas pedal on. How do you prioritize the data feeds that are in your backlog? How do you decide which ones that you want to bring on next? That’s a great question. And one of our biggest challenges, it’s kind of hard to predict what’s going to sell. Um, we have a good pulse on it because we use chat support and if you guys have heard of Intercom, but that’s like the best tool. I mean that’s like our entire sales engine is intercom, were huge fans of them. So we’re getting a pulse daily on what people are looking for. Which is also really interesting from a venture perspective because if you think about the Fintech industry, we get to see before anybody else what are people building. 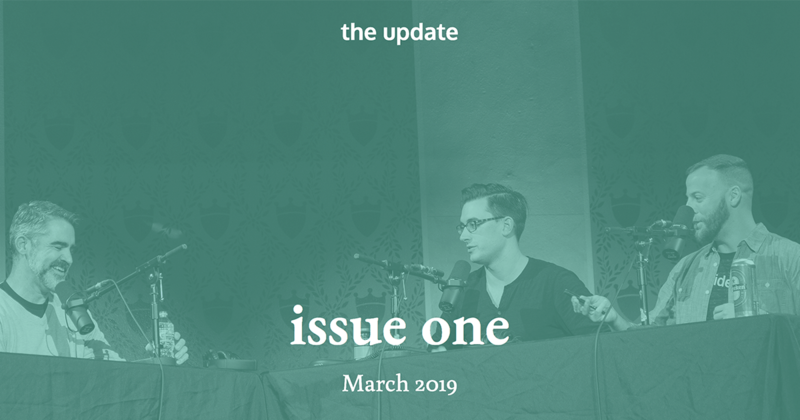 We had that huge increase in requests for crypto feeds and then like in q four last year, everyone was asking for real-time data and so we like get to ride the waves the pulse of what’s going on in Fintech, which is really interesting. So we’re listening. It’s, it’s, it’s kind of three fold. We’re listening to our customers and chatting them and gathering data and what they want. We have this influx of vendors who want to sell and we’re kind of feeling people that want to sell the data and people don’t want the data and matching it up and figuring out, you know, how much if, if one person’s gonna buy this, we shouldn’t prioritize it right now, but on top of that we also just know what our gaps are. One of the biggest ones right now being mutual funds, we don’t have a mutual fund fee. That’s kind of a hard type of data source to finding a way to source it or finding partners for that, so just based on industry knowledge, we know the gaps and so it’s understanding that while also connecting the need and the need on both the data vendor side and the user side. How many total data types do you think there are? Oh my God. It probably would have been an easier question to answer like three or four years ago, but now there’s alternative Dataset, so there’s people that are like counting cars in parking lots and Walmart parking lots and satellite imagery and sentiment analysis and Twitter sentiment and things like that, so I don’t even know how to answer that question now because of alternative data. Thousands if not more. Not even counting the alternative data space because you just think about every asset class, fixed income, mutual funds, equities, multiply that by the types of data and all the derivative values that can be calculated off of it and also even how do you categorize it in the first place? Like we bundle in equities feed together, that’s got equity fundamentals and prices together. Is that one type of data? Two types of data is the price to earnings ratio that we calculate off of those two datasets. It’s own like. So even categorizing it as tough. There’s a ton. Especially with alternative data. How big is this opportunity ahead of Intrinio and how do you quantify it? So what’s interesting is that we’re at the intersection of two industries. One is huge and one is growing really fast. The financial data industry is like $28 billion globally. So pretty massive, especially considering like 75 percent of it is only owned by five companies. There’s a lot of room for disruption there. So $28, billion dollars globally growing at like three percent, but we’re also in the API management space basically. That’s a pretty new kind of an industry. And then if you guys are familiar with the company, Mulesoft, they just got acquired for $6 million dollars and it was kind of the first real m and a activity we saw to that space. And so. But that’s a pretty big valuation for an API Management Firm. So we’re keeping a pulse on that. That’s really interesting. And we’re kind of on the finance side of that. So Financial Api management in a way. So we’re selling data, but if you really think about what our company does, its infrastructure, we’re, we call it the data journey, right? How do you get a piece of data from out in the wild showing up on a pair of VR goggles on the trading floor. That’s what we do, and that’s API management. So that’s only about $800 million, but it’s growing at like 35 percent, said they expect it to be $3 billion in 2022. So a really old disruptable huge slow growing industry and then a brand new, really exciting fast growing industries. So we’re kind of at the intersection of those two. It’s a pretty pretty big opportunity. And how, let’s let’s take that $20 billion globally number. Probably sort of based off of people buying these super overpriced feeds right now right. So how do you reconcile your opportunity if you guys are competing on price? Yeah, that’s what’s interesting. So it comes down to like supply and demand and economics. So absolutely over time, you know, if you look at like the Burton Taylor and the companies that do these massive research reports, you see they break out via company and via type of data and we have all this data on it, which is great. But over time the actually what’s interesting is that every single company, except for Bloomberg, their prices are going down slightly over time, right? Because of the pressures and the commoditization of data. So companies like us coming in with pressure to make it more affordable. That means the price is going down slightly over time except for Bloomberg of course. But that also means is that people who weren’t previously able to play are able to play. So you have to weigh the fact that prices are going down with the size of the market expanding at the same time and on top of that. So new people playing that weren’t able to play before and changing modes of consumption so that the analyst is now a programmer and quant trading has become really popular. So all of these things coming together, if you actually run the numbers, even if the price is decreasing, the size of the market is increasing pretty drastically and it looks good in the end. Okay. I’m going to try not to be jaded here. So Florida is an interesting. There’s tons of people moving here right now. Like the amount of population growth in Florida is pretty insane on top of that you specifically. A lot of Wall Street is migrating down here. There’s a ton of hedge fund activity, so the influx is pretty crazy, especially if that’s where we ended up thankfully finding some of our angels were wall streeters I had retired down here. Cost of living, we’re in St Petersburg, which is smaller town across the bridge from Tampa. It’s literally only 15 minutes away, people make a big deal out of it. It’s Tampa Bay, right? We’re just different personalities of Tampa is like this big industrial city in St Pete as we say, like, like I say, has kind of a bit of a soul, so it’s more artistic and you know, food and wine events and live music and we have tons of parks that we have the beach over here, so it’s just a smaller city, a little bit of a different vibe. But again, Tampa is literally 15 minutes over the bridge so we get the benefits of a big city like that. Um, and then kind of our more of our vibe over on the St Pete side, so that fits with our culture really well. Um, our team loves it. The quality of life here is just insane. Like I can throw my paddleboard in my car and like go drop it in the ocean like two blocks from my apartment and like a five minute drive from work. So just quality of life. We love it down here as obviously economically it’s great as well and the weather you can’t beat that. So those are the factors there. The positive side from a business perspective, obviously outside of just operating expenses being much cheaper here is that the talent is here. So but only from the front of the house perspective. There’s a bunch of UVA, UCF, USF, university of Tampa. Even some of the northern colleges that were sees that there’s a lot of like sales marketing and support talent and like you know, kids that are graduating that love it down here and ended up leaving for Atlanta and other kinds of regions like that because they can’t find opportunities. And so we have a ton of that talent out here. It’s great and easy for us to source that side. Programmers not so much. So we actually, our program or our tech team is distributed and remote. My CTO is out in Colorado and we have kind of a small dev office in Colorado, but then we just find the best programmers we can and let them sit where they’re at. Florida has this history. Obviously we have a Mcdill air force base down here and the NASA activity and so there’s the space. There’s a lot of government focused stuff that has historically happened here. What that means is that talent is all government like, like not open source tech. They’re all doing like Microsoft and .net and c sharp and that’s not what startups want to use. That’s not how you beat the oligopoly is about using their own technologies. So there’s. It’s really hard. If I want to be programmers down here and there’s a whole nother conversation I think on like bootcamps, everyone’s, oh, but let’s solve it with bootcamps and it’s like I’m not going to hire a junior developer that comes out of a bootcamp. It’s not it’s great and I think it’s a step in the right direction, but there’s a gap. If someone who’s actually been programming for a year or two that I can as a startup, like we can’t teach them like we have to hit the ground running because we’re moving so fast, so that’s why we have a remote tech team. It’s probably from a business perspective, there’s two challenges fundraising and tech talent down here. That’s one of them. We’ve solved that by just letting them be remote and then when we have all company meetings once or twice a year, we can get them out of the snow and fly him down here for a for a retreat and it works pretty nicely. That leads me to the second problem with Florida, which is funding. You’ve got on top of this like government focused history, I would say that Wall Street folks retiring down here as a good and a bad thing because they they’re old school in a way. We’re more of a tech company than we are a finance company and explaining that to someone who’s used a Bloomberg terminal their entire life is actually not good and not easy to do and so we’ve run into that problem a little bit. The other problem down here is just education, so we don’t have a ton of people that understand venture or risky early stage investments and so what they’ve done to make themselves feel better about their lack of knowledge is forming these angel syndicates on Angel groups, of which I am not a fan for a lot of reasons. You’re taking a bunch of people that angel investing as opposed to be one person who comes from an industry that understands it really, really well and can have a hands on approach and put a significant chunk of money to like help an entrepreneur. What you’re doing is you’re taking these people who know a lot about. They don’t necessarily need to know a lot about venture investing at that stage. You’re investing in a person, you know investing in their business. It doesn’t matter what matters is they’re coming from finance industry or they’re coming from the education industry for an Ed tech investment. So what these angel groups do is they aggregate together all these people, put them behind a wall so that you’re not actually getting the help from an angel investor that you should, and for them they’re taking what would have been at $50,000 investment and making him put 10 grand in five different companies, which is not a smart way to angel invest. You can’t make money that way. You’re spreading out. That’s just not. You don’t make money that way. Angel investing, so it’s bad for the investors from that perspective and it’s bad for the entrepreneurs because they’re missing out on the actual help from an angel and even worse in this region that has completely monopolized access to angel investors. If these firms are scooping up all the angels, what are our options? If there’s only one platform now for us to go to to get an angel investment, how do we negotiate? How do we stand up for our own valuation and our terms? It just completely loses the negotiation power monopolizes Angel investors in the area. I have a like a horrible story of one of my entrepreneurial friends down here that there was a guy from his industry who sat on the Public Board of a company that would have been like the perfect acquirer for him and was going to be a great angel and like really well connected and he was going to give him like $100,000. One of these angel platform is went behind his back, got him to his platform, convinced him to join and split his money up. And so now he was only putting $10,000 into this guy. So why is he gonna spend anytime helping him and he’s just split his money up across the platform. It would have been the most strategic, would’ve totally funded his angel round and just ruined it for him. So that’s what happens when you aggregate angel platforms together. So we’ve, we’re ruining it on the angel side. And then we also don’t have any of these seats. We have this gap between Angel doing Angels wrong and not even having like private equity and growth stage is a ton of that down here. But we have this gap in the VC, you know, raising a late seed to a series a round. There’s not very much going on. There’s like one or two firms in the entire state that do that. Where are you going to raise from them? So I beat my head against the wall for probably a year and a half trying to, you know, I’ve pitched in front of Angel groups. Honestly. They all turned me down. I don’t think any of that understood what I was doing and I had this mentality where I’m in Florida so I have to raise in Florida, which is totally wrong. Especially considering the mentality of a lot of the bigger funds in bigger cities that want to invest in Idaho and weird places like that. That really wasn’t the trend at the time. And I think that’s why I felt confined to Florida, but it was really depressing for a year because I’m doing something that’s kind of crazy and it’s, it’s taking a historically like huge industry and flipping it it’s on it on its head. And so it’s hard to explain and I wasn’t good at explaining it in the beginning and so I just beat my head against the wall and these Angel groups would like tease me for months at a time and you don’t have months at a time, you need a small check to keep going to keep building and it really can it can ruin it for you. And so I got told literally the phrase, we’re just going to put you in a parking lot right now. I’m like, no, I’m raising money right now. It’s either yes or no like I prefer a no. So that’s like the attitude they had and it was just horrible. And so finally I started to realize I can raise money outside of here. I got really lucky I found two angels, both women actually, which has been great for mentorship for me, former managing directors of equity research at Goldman and Morgan Stanley. One had retired down here, she introduced me to the other one. They became angels, they sat on my advisory board. So that was just pure luck. I feel bad because a lot of entrepreneurs don’t find that down here and those women hadn’t been gobbled up by the angel networks yet, so that was a big help finding them, just getting lucky, getting into the community and finding the right people that hadn’t been scooped up yet and then on top of that, what I think really changed my attitude about it was we had an investor out of Singapore who was actually the CEO of a different Fintech company that needed data and it was. They had raised like $30 million from Sequoia. They’re had huge growing company found us from Singapore, chatted us and asked if we wanted a partner for data integration. He ended up making a personal angel investment because the more he learned about the business, we were solving a huge problem for him. He not only personally made an angel investment, he introduced me to all of his investors and Singapore as well, so we have foreign investors out of Singapore and I was like, wait, I don’t have to stay in Florida. I can actually get out of here and find people that understand what we’re doing. So now I feel like I mentor and talk to a lot of other startups down here who are like, where should I look for money and they’re only thinking Florida and I’m like, get outta here. Like go fly to New York or you even think internationally, it doesn’t have to just be Florida. And so then we obviously got some. I got to invest that I’m in New York and we went through as ECE program in Atlanta. I got another VC out of La that invested and that really kind of opened up my, my view at that point that you can’t kind of stay in one community. The volume of investors you have to talk to you to find someone that understands it, you know, shoot yourself in the foot if you restrict yourself. I was wondering through this conversation, if any of the users of Intrinio had reached out and said like, hey, can we invest? Yeah, there is one, uh, another former Wall Street guy who was managing his own portfolio and he’s on like the weird retail end of our users. But for him in retirement, he doesn’t have his Bloomberg terminal anymore, so he’s not going to pay for it as a personal guy managing his own money. So for later I think he was grandfathered him into like a $25 a month plan and we’re just like powering all the data he needs to manage his, his portfolio. And so he did actually, he chatted us, asked to talk to me and he made an investment in our seed round two. That’s amazing. This has been fantastic. Rachel. Thank you so much for sharing with us. After the show, if anyone wants to learn more about you or Intrinio, where would you send them? So I first thing I would say is all me on Twitter, it’s rachel_ ann_c probably could have made it a little easier than that. And then the next best thing is that we have that chat support and our website. So if you want to get in direct contact with me, you can just go to www.Intrinio.com. My team is super nice, we’re pretty much on 24/7 and you can like instantly chat with someone on our team and get connected with me that way. Awesome. Thanks for being on the show. Yeah. Thanks for having me. This is fun guys. Alright, Eric, we just spoke with Rachel Carpenter of Intrinio. Now let’s get to the fun part, let’s talk about Intrinio as an opportunity. Let’s put our investor hats on. We usually start with the founder. You want to start there? To be to be honest though, I am getting more and more interested and I think better thinking about all things finance. The key is that the interest is there, I now I’m interested in trying to learn which is key for learning anything, right? Yeah, absolutely. But yeah, back into Rachel. I think she has a fascinating story. She’s a extremely confident individual in listening to her story, going through music, making a change to finance, be rowing crew, making a move, living on a couch instead of taking a job. All of that screams to me confidence in her abilities in herself. Would you agree with that? Yeah, like that. I was going to draw the line to theater because you kind of have to have that confidence to have stage presence in perform similar to athletics, have to have some confidence to go out there and compete at a high level, but one of the major things that you just touched on that I wanted to bring to attention related to Rachel as a founder was this period of time where she was living on Joey’s couch, which I think speaks to Joey as a founder as well, wanting to give him some love too that because besides letting Rachel sleep on the couch, he came to her with this gnarly spreadsheet. It sounds like that was a massive model that was sort of prototypical Intrinio, which I think is fascinating and awesome. I love people who just take hours and hours and hours of time to put something together on the side that they think might work. Yeah, like lots and lots of hours. I’ve toyed around with building like scraping mechanisms before played around with Yahoo’s API and it takes a lot of time to get familiar with that, so pulling data from 10,000 websites and figuring out all those websites. That’s crazy. Yeah, and this is, as I said in the intro, much more of sort of your home base here, this whole industry, so I would love for you to kick us off if you don’t have more to talk about directly as it relates to Rachel as a founder about the industry because we got some numbers about industry size and I know we’ve talked about bottoms up analysis before because similar to other companies we’ve talked to in the past, the industry size that we had may not be directly related to the opportunity ahead of Intrinio given that they’re competing on price. Absolutely. When I think about the finance industry, it is first and foremost and information industry, so data is the most important thing that makes finance run. On top of that data, you do analysis, it’s the basics of what finances. So every hedge fund out there has their own data set, whether they pull that from Bloomberg or they’re using satellites in the sky or whatever it is, they have a proprietary data set that might be pieces of public data sets with certain data that they have to try to get an edge on the competition to make better investments. All of this is based on algorithms and the entire financial industry has moved rapidly this way from probably the 80’s until today where a lot of things are called quantitative trading or clients. You might hear that term a lot, so it’s using algorithms to more effectively trade pure quants. We’ll just trade based on algorithms where they’ll. Their program will do it themselves. Some people do use a hybrid where they have indicators that alert them to a potential trade and then they make a decision personally. You also get this tradeoff. She mentioned Joe, he likes the idea of value investing. That’s generally more of a mixed approach where there’s numbers that have to be hit and certain metrics and then also some sort of. Well, in a traditional warren buffet sense, there’s some sort of qualitative assessment as well. Anyway, that’s a brief overview of the financial industry itself. All that to say data drives finance, not money. Interesting. So as someone who’s played around with a Bloomberg terminal, do you see this as replacing Bloomberg terminals for people for opening up the data side for people who previously just didn’t have access at all or as sort of an augmentation for people who are already using existing tools? Which do you think is the most useful and attractive use case? I think that from a pure practicality side, your first scenario’s very plausible in that training that could replace Bloomberg, but one thing about finance and the financial industry in general is the concept of career risk and people like names and finance. That’s why people feel safe banking with Chase or clearing through New York Mellon or using Bloomberg data or what’s the saying? You never got fired for buying IBM. That whole shtick is very big in finance and it is tough to innovate from the inside. So I think Intrinio is doing something very interesting by being the platform for innovators and I think that’s where the real benefit will be shown in the industry through Intrinio. That being said, there might be a scenario where institutional investors use this as an additional data source on top, but I don’t think it’s going to be an immediate replacement. It blows my mind that there wasn’t a mandate for using some standardized language for putting this data together. She mentioned this XBRL protocol that was mandated in 2009 in the United States. I’m sure the country’s sounds like China who got ahead of that have a pretty big advantage in that space, but it also strikes me that it would be very hard for a large company that’s built on doing things very differently to immediately switch and say, okay, now we’re doing things with XBRL and that gives you an advantage in that space. statements is just such a process. When or US gap, when either of those changes, there is a significant amount of lead time for accounting firms for companies to review how they are changing things because there can be, like I said earlier, qualitative and quantitative factors in changing of things, so whether or not your intent is to hold something for sale or until maturity, that completely changes the value that you represent on the balance sheet for some assets. Yeah, so she mentioned that the financial data market was $28 billion globally growing at three percent per year. The API management space was $800 million growing at 35 percent and expected to be 3 billion by 2022. She also mentioned that Mulesoft, the company Mulesoft, which I had heard of, was recently acquired for $6 billion. I remember seeing that, reading that, that making some waves and I didn’t quite understand what Mulesoft was, but this helps me connect those dots in my mind as well that API management is getting to be more valuable. So on the phase of it, that sounds like large market size, but again, if they’re pricing at sometimes $40 per month for individuals, she said the average subscription is close to $200 per month right now. That’s a huge, huge gap in what these Bloomberg terminals are charging right? What’d you say that they cost? $10,000 I think per year. $10,000. So huge gap and it’s an interesting thought exercise to figure out where they want to price in that market to be profitable. Which she said, you know, investors are talking about that and still fulfill their mission of making things more open and accessible. So I don’t have any hard thoughts on that. Obviously she’d give us a couple numbers that right now their average subscription is $200 per month and they have 550 paying customers, which would be about $110,000 per month in run rate right now. And that seems like they’re probably just scratching the surface. But did you crunch the numbers over there in my quad friend? So I just started thinking about the casual investor, the casual data person probably isn’t the person I’m most interested in in terms of the potential for this business. To me it’s more of the asset management space. So depending on where you look, there is somewhere between some people say 5,500 hedge funds, some people say 9,000 mutual funds, some people say over 15,000 hedge funds. What it boils down to is no one knows what a hedge fund is and no one knows what an asset manager is. I guess in general, but let’s just say that there’s 10,000 hedge funds in the United States or asset managers will just call them asset managers in general. So that’s hedge funds, mutual funds, family offices, people who are investing in the public markets, private markets, whatever it is. Not including VC’s will just call it 10,000. They said they’re charging institution somewhere between $506,000 per month, right? With an average right now I think I had a $600 per month. Okay. So let’s just take the range though for now. So 500 x 10,000 x 12, gives them a run rate of $60,000,000 of institutional inflows on the low side and on the high side it would be 720 million per year. That’s just from the asset management space. That’s not where this data can be used elsewhere. To me, this is the core industry for them. This is their bread and butter in anything else, whether it’s an outside programmer who wants to start a company around Fintech or it’s you who wants to download the historical us stock market and see if you can run a regression to figure out how you want to allocate your capital going forward. That is all interesting and that is all supplemental revenue for zero additional cost, but I don’t think it’s their core market. It’s a great business model. Putting the price aside, in my opinion, it seems like they do all the work. They build it. There’s not a lot of variable costs, fixed costs, variable costs are low and they can just scale it to all kinds of these people and it’ll be interesting. I think that was kind of alluding to this in an earlier question. It seems to me like it’s going to really democratize things and bring in people who just can’t play right now and it’s hard to track how many of those people may be out there and what they could do with this type of information. So if you’re looking at $50,000,000 on the low end and 720 on the high end, I think it was 60 to 700. Oh yeah, maybe it was 50. Yeah. That’s a pretty big market opportunity with that alone. And that’s United States numbers, right? You’re looking at 10,000 offices in the United States, so that’s attractive. Did you pull a different conclusion? No, I think it is extremely attractive that this is their core industry. I mean this doesn’t get into individuals. It doesn’t get into programmers trying to develop things. This doesn’t get into accounting firms who need data that doesn’t get into law firms who need data. I mean this space is huge. I wanted to understand who the core market was because those numbers, when they get thrown around, global data is 28 billion. It’s like that’s a big, big number and it doesn’t really tell me much other than people need data, which I already understand, so I want to understand more. Okay, who’s the core customer? It seems to me it’s asset managers. I could be projecting if it’s asset managers, this is the. If you get $700 million dollars a year from asset managers, everything else is going to like fall into place in my opinion. It’s an interesting question of customer versus user because I think her stated ideal user is a developer, but maybe that’s a user within the customer of the asset manager. Maybe that’s a developer that’s employed by the asset manager. I don’t think about Quantz. the 550 paying customers she mentioned, she said tens of thousands with trials and playing around, which to me, who knows what the conversion rate of that many trials will be, but that says something to me of distribution and market interests because it’s not easy to get things in front of people and to have tens of thousands of people finding Intrinio, playing around even at a trial level tells me they’re doing something right in terms of marketing and messaging. And it might mean that they’re not yet finding what it is that they’re looking for, but the fact that they’re looking means there’s some painful problem that they’re feeling and as Intrinio adds to their 300 data feeds, hopefully they they find ways to quickly understand the most necessary feeds that these people aren’t yet finding. Jay, do you want to enlighten the listener on what a shadow is? Yeah. In case you’re just joining us, shadows are what we refer to as sort of a red herring and indication something that, uh, we gives us a little bit of pause and we’ve identified as something that we would want to dig into more to make sure there isn’t a real risk here. Did you just use a metaphor to describe a metaphor? This metaphor is sort of like this other metaphor, the red herring, a device used in American literature. So the shadow I have with is this idea that Rachel said that data is becoming commoditized and in Trento is leading the forefront in that commoditization by making everything accessible and easily attainable. And she mentioned that they did it on a bootstrap fashion. So it was very cheap to do. My question then is what is Intrinio ? Yeah. What stops in Intrinio version 2.0 with somebody who as a stable of developers and can pull in more than 300 data feeds more quickly. So what you’re asking? That’s what I’m asking. What if someone funded the next Intrinio with a billion dollars and said beat them to market? That’s a good question. I don’t have the answer. I think that’s a legitimate concern. Something I’m sure Joey and Rachel having not thought about but we didn’t ask it and I’m not going to project. But I think that’s a valid concern. And I think it kind of comes back to what we talked about earlier is can you make institutions and people in and around finance comfortable with your name and knowing that in Intrinio data is good, solid, clean, well-respected data. Which brings me to a point that I hate to make on this podcast. Florida is an interesting place for this company. I don’t think it should be in Silicon Valley necessarily, but it seems like Florida is not a financial hub, which doesn’t affect the access to the tools they need to build this product, but I think it does affect their access to certain members of the network that may help to legitimize them and make that name recognition a little bit more comfortable. What do you think? Well, having flown from New York to Florida and back every week for three months straight ones, it is a very easy way to get up there if you want to get access to the community. So while it might not be ideal, there’s also very large benefits to being an outsider of New York and coming in in that every time you’re there you’re maximizing your time to meet with people in the community. Whereas if you’re there, sometimes you don’t maximize your time being there. I see good call. It was interesting to hear about her experiences with Angel groups in Florida. That was a really interesting takeaway I had that we don’t have to spend a whole lot of time on here. I’m sure it will come up in other podcasts or in coffee chats that we have, but the idea that they and people she is known have lost access. Who would be really strong investors and board members because their investment was spread across a series of companies through an angel group. That is very frustrating for an entrepreneur. It sounds like she was fortunate to find a couple of female angels who had great backgrounds for what she was doing and so she’s in a. she’s in a spot where she may be able to take this, take this thing to the next step where other people may not find that connection. One comment on that on the Angel Syndicate idea is that from an investor’s perspective, you’re taught that diversifying your investments lowers your risk. From an entrepreneur’s perspective, diversifying your efforts increases your risk because you need to focus, so it’s always hard looking across the table and saying, these investors should go one on one with entrepreneurs where they could invest $10,000 in five companies and $50,000 in one company. Everything in traditional finance tells you go five, spread it wide. That being said, I think that, and I might be projecting on Rachel here, but her frustration is more in the idea that angel investors shouldn’t be constrained by the same ideals as public equity asset managers or just general financier’s. They should be willing to take more risk not looking at this as another diversification item. Yeah. I guess in theory, there would be a mechanism to take the Angel Syndicate and split Their mentorship and their ability to help these entrepreneurs in a very effective and efficient way, but then again you may not have a whole group of angel investors who have the right background and pedigree to do that. She was speaking specifically to cases where the investor did and would have been an excellent sort of member of the team. There’s something I forgot to mention as it came to Rachel as a founder that I really, really loved and wanted to point to her and Joey both. They taught themselves to program the initial versions of this. Every time I hear that, that just blows me away and that’s that’s a huge, huge indicator to me that somebody is really, really bought in to the point that they’re going to learn a new skill which takes a lot of time and a lot of practice so that they can do it themselves and that just points to their tenacity but also their capital efficiency. Because you can keep looking and by the time you made yourself a very capable programmer, you probably could’ve found somebody that you could have paid to do the work, but that capital efficiency I think is a hallmark of founders here in this part of the country. Yeah. It’s clear to me that Joey and Rachel didn’t start on second base like some founders we’ve talked to and because of that I think they’ve thrived. Love it. Shout out to Nick Potts for that analogy. We like, we love to use. Just met up with nick a couple of days ago and he used the analogy on third base for somebody we were talking to. So you can start all over the baseball diamond. Eric. Love it. Alright guys, let us know we missed. You can Tweet at us at upsidefm or comment on Breaker on this episode. We’d love to hear from you. And of course, if you are somebody who know it’d be a good guest for the show, email us at hello@upside.fm and we’ll talk to you next week. That’s all for this week. Thanks for listening. We’d love to hear your thoughts on today’s guest. So shoot us an email at hello@upside.fm, or find us on Twitter at upsidefm. Will be back here next week at the same time talking to another founder and our quest to find upside outside of Silicon Valley. If you or someone you know would make a good guest for our show, please email us or find us on twitter and let us know. And if you love our show, please leave us a review on iTunes. That goes a long way in helping us spread the word and continue to help bring high quality guests to the show. Eric and I decided there were a couple of things we wanted to share with you at the end of the podcast. And so here we go. Eric Hornung and Jay Clouse are the founding partners of the upside podcast. At the time of this recording, we do not own equity or other financial interest in the companies which appear on this show. All opinions expressed by podcasts. Participants are solely their own opinions and do not reflect the opinions of Duff and Phelps LLC and its affiliates Unreal Collective LLC and its affiliates or any entity which employ us. This podcast is for informational purposes only and should not be relied upon as a basis for investment decisions. We have not considered your specific financial situation nor provided any investment advice on the show. Thanks for listening and we’ll talk to you next week. Rachel Carpenter is the co-founder and CEO of Intrinio. Intrinio is a financial data platform with a marketplace for financial data APIs and analytics applications built with those data feeds. Their mission is to democratize affordable, easy to access financial data for developers and investors. Intrinio was founded in 2012 and based in St. Petersburg, Florida.